Security and privacy are fundamental concerns in today’s world. These concerns have become particularly prominent with Snowden’s revelations a few years ago of the presence of the NSA in our daily lives. These revelations have shown that traditional cryptographic techniques do not provide the security as was expected calling into question how security and privacy can be provided. In this talk we investigate how noise in the environment can be used to provide not only security but privacy in networks. In the first part of the talk we focus on a wireless scenario and consider the following: Alice is wishes to talk to Bob without a third party, Willie the warden, even knowing that the communication is taking place. We establish a square root law, that Alice can send O(√t) bits (and no more) to Bob in time t over a variety of wireless and optical channels. In addition to these theoretical results, we present experimental results that support this law. The above results raise the question as to what is possible in a wireline environment, where there is seemingly no environmental noise. In the second part of the talk we develop a (somewhat) similar set of results using randomness in packet timings to hide communications. We consider two scenarios, one where Alice has the ability to add packets to a channel and one where such additions can be detected in which case she can change packet timings. In the former case, the square root law continues to hold whereas in the latter case, Alice can achieve a positive communications rate, O(t) bits in time t.
The talk ends with research challenges in this area of network security. Don Towsley holds a B.A. in Physics (1971) and a Ph.D. in Computer Science (1975) from University of Texas. He is currently a Distinguished Professor at the University of Massachusetts in the College of Information & Computer Sciences. He has held visiting positions at numerous universities and research labs. His research interests include networks and performance evaluation. 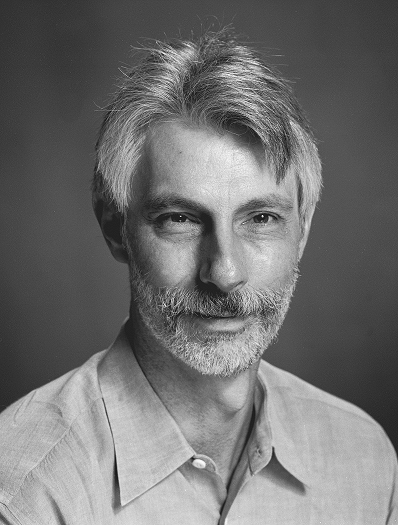 He currently serves as a Co-Editor-in-Chief of ACM Transactions on Modeling and Performance Evaluation of Computer Systems (TOMPECS) and previously as Editor-in-Chief of IEEE/ACM Transactions on Networking, and on numerous editorial boards. He has served as Program Co-chair of several conferences including INFOCOM 2009. He has received numerous awards including the 2007 IEEE Koji Kobayashi Award, 2007 ACM SIGMETRICS Achievement Award, and 2008 ACM SIGCOMM Achievement Award, and numerous paper awards including a 2008 ACM SIGCOMM Test-of-Time Paper Award and the 2012 ACM SIGMETRICS Test-of-Time Award. Last, he has been elected Fellow of both the ACM and IEEE. Deception has been used since early days of warfare. Until most recently deception techniques such as honeynet have also been adopted in the cyber space. However, most approaches are ad hoc at best. There are increasing interests in establishing a formal model that can be used to capture key characteristics of cyber deception and to evaluate the effectiveness of using deception as a proactive network defense tool. This talk will share some of initial thoughts in identifying new opportunities in cyber deception and exploring new research ideas in this space. Dr. Cliff Wang graduated from North Carolina State University with a PhD in computer engineering in 1996. He has been carrying out research in the area of computer vision, medical imaging, high speed networks, and most recently information security. Dr. Wang authored/edited for 13 books in the area of information security and hold 3 US patents on information security system development. Since 2003, Dr. Wang has been managing extramural research portfolio on information assurance at US Army Research Office. In 2007 he was selected as the director of the computing sciences division at ARO while in the same time managing his program in cyber security. For the past ten years, Dr. Wang managed over $100M research funding which led to significant technology breakthroughs. Dr. Wang also holds adjunct faculty position at both Department of Computer Science and Department of Electrical and Computer Engineering at North Carolina State University. He has been elected to IEEE Fellow in 2016.